Hypocrisy is a natural resource whose market value increases as the years go by. (The band is, anyway; the other kind of hypocrisy is in plentiful supply.) As melodic death metal at large continues to hemorrhage momentum and fans, Peter Tägtgren’s main-squeeze outfit has continued to produce reliably heavy and enjoyable material even as their studio/touring pace has slowed. They and Amon Amarth compete for the “Bolt Thrower of melodeath” crown; for my money, Hypocrisy easily wins. Their new album, End of Disclosure, is stouter than 2009’s A Taste of Extreme Divinity and more consistent to boot. The last time Hypocrisy made it to North America was in 2010. Visa issues derailed the tour, and the dates that came through were mostly in California and Canada. They will return this spring for a short round of dates that, while still unkind to fans in the US’s Southeast and Midwest, at least includes a few Texan dates. The supporting cast couldn’t be more fitting. Krisiun is one of the few death metal bands that can keep pace with Hypocrisy for arena-sized jams. (Who else could? 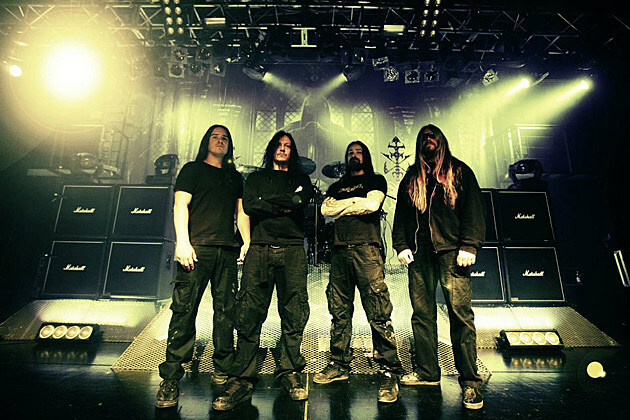 Kataklysm? Vader? Behemoth?) Aborted is dipping their toes into the same waters, and have recovered from their 2008 flop Strychnine.213. Arsis, too, have righted themselves after a crummy record; last year’s Scion EP came close to matching their vital early days. If James Malone can stay healthy, they should be a force onstage.